Feeling tired? Run down and stressed by the busy pace of daily life? In today’s exhausting world, dominated by the digital, we are more and more disconnected from our physical selves and are often shockingly unaware of how badly we are functioning. Some of us have chronic illnesses; others just feel a bit under par. Most of us never stop to listen to our bodies. We are becoming the ‘walking unwell’. But take the time and pay attention and you may well avoid having to end up on your doctor’s doorstep. 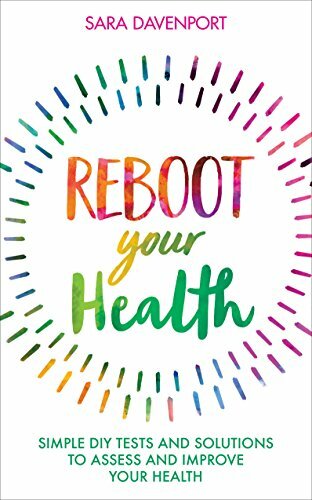 ‘ReBoot Your Health’ offers a series of simple inexpensive tests that you can do at home that will show you how to ‘hear’ what your body is saying, giving you solutions to sort any problems. What follows is a short selection to get you going - let me know how you get on with these 7 simple at-home health tests. We all have the candida yeast in our bodies, and although in the majority of us it doesn’t cause much of a problem, for some people it can trigger symptoms including exhaustion and gut and urinary tract infections. There is a simple test you can do to check your levels. Put out a glass of fresh water by your bedside table before you go to sleep. First thing when you wake up, briefly rinse your mouth then gather some saliva and spit into the glass. Watch the water for 30 mins or so. If you have a candida overgrowth you will notice stringy legs hanging down from the saliva, cloudy specks in the water and heavy looking saliva at the bottom of the glass. Time for a visit to your doctor or nutritionist to get it sorted. Do you wake up at the same time each night? Did you know that Chinese medicine links different two hour periods of the day and night to different organs of the body, so any repeat disturbance at a set time is said to be an indicator that a specific organ is weak. The Meridian Clock, which is featured in the book, shows you what the problem might be. If you wake up at 2am your liver may be crying out – or at 4am, your lungs are struggling. Thyroid problems are thought to affect up to 50% of us. Feeling continually tired, depressed and downright chilly? It may be that your thyroid hormones are out of balance. Ask your body and it will give you a clue. Record your underarm temperature over a period of several days and note down the figures. Between 97.8 and 98.2 degrees F you are working well – higher or lower and your body is trying to flag the problem. The jury is out on how much water you should drink each day. Some experts recommend 5 glasses of water a day, others as much as 3 litres. Most agree that the exact amount varies from person to person. We lose water every day – through breathing, moving, sweating, exercising and urinating. Check out the colour of your wee. It should be pale yellow and odourless. If your urine is dark yellow, then you probably need to drink more water. Keep a jug on your desk or in the kitchen and sip slowly throughout the day. When one of your organs has a problem, you may notice a cold area on your skin, which is where the sweat glands have stopped working properly. Run your hands slowly over your body, and you will notice that it feels warm to the touch in the majority of places, but at certain points there is a noticeable temperature drop. Cold around your lower back, for example, means the kidneys aren’t happy; on your tummy, that your stomach is struggling. Do you come out in a rash if you eat shellfish, or bloat if you have a sandwich for lunch? Repeat and unusual reactions to certain foods are your body’s way of flagging you have a problem. Listen to it. 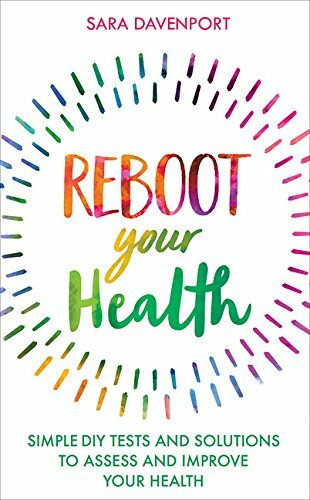 The book gives you a simple test you can do at home to find out once and for all which food is the problem: a change in your pulse rate is your body’s attempt to speak to you. A rise of 6 beats per minute indicates a stress reaction in your body. Cut out the foods that trigger it. Simply put, the more alkaline you are, the better for your overall health; the more acid the worse. Too much stress and too many processed foods lead to high acidity and allows disease to flourish. Your pH level can be measured and will show you what’s going on – the scale ranges from acid at 0 through to totally alkaline at 14. Testing your saliva and urine is a simple way of getting a snapshot of your levels. You can test both with inexpensive pH strips that you can buy online. Your body speaks to you in many ways and your body always ‘whispers’ before it shouts. You just need to learn the language it speaks and get listening! Older PostFind Your Health Baseline | Your New Year, New You must do!